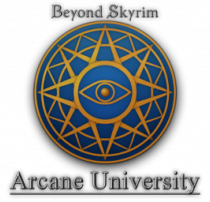 This tutorial will cover the basics of exporting statics from Blender 2.7+ to a Skyrim .nif as well as explain what does what when it comes to exporting. Depending on how you work, you may find this easier than the old ‘exporting via 2.49b’ method. 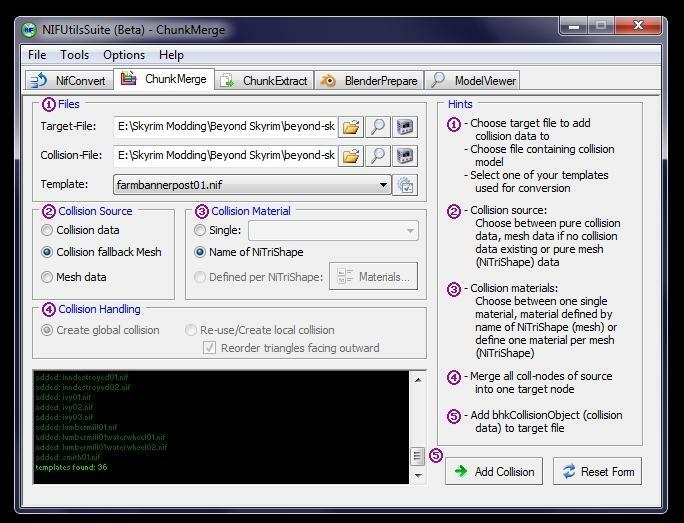 I believe this method takes a little more work to get set up, but once it is you can export directly to Skyrim with as little messing around in NifSkope as possible, allowing you to quickly test small changes to your static models with little hassle. 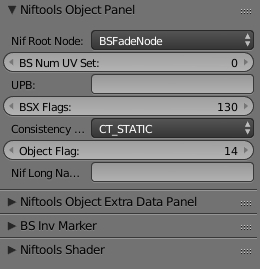 I will assume you have a basic knowledge of Blender, and I will only be covering the Blender to .nif exporting for static models with collisions. I will not be covering loading these models/placing them into the Creation Kit, nor any modelling techniques. a .nif file to use as a template when using ChunkMerge. Once you have the appropriate files downloaded, install them all, all of the links above should have a readme file somewhere regarding each program. You can also check the niftools forum and the niftools discord (click connect) for advice. 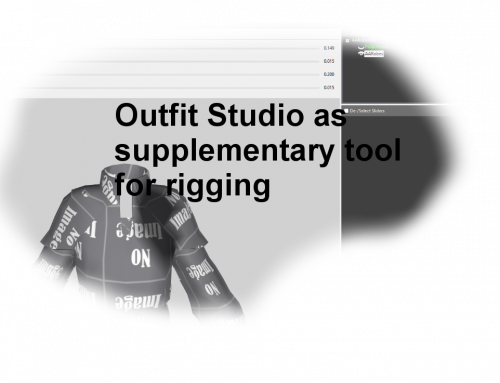 Depending on how you choose to model, you can do this as you go or at the end as one whole process, and it doesn’t matter which order you do these steps as long as they are all completed before you try to export. I recommend modelling in Blender units so you do not have to scale your model upon exporting, as 1 Blender unit is equal to 1 Skyrim unit. The reason for this is that if you are creating a tiling object, scaling on exporting will most likely put out your measurements by the slightest values and cause visible breaks and seams. Once all of your modelling work is complete, you need to make sure to apply all of your transformations. If you don’t this can cause some issues once it is in-game. To apply all of your transformations, press ‘A’ to select all and then press ‘Ctrl + A’ and select Rotation and Scale. In the left toolbar, you will also need to select the location. After all of the transformations are applied to my completed model, I need to make sure that it is UV unwrapped just like you would with any other model. Once your model is UV mapped and has had all of it’s transformations applied, I will start going into detail about the Nif related requirements. If you do not use vertex paint, uncheck vertex_colors. You can also do that after the export in Nifskope, your mesh might appear black first. Now I go to the Texture tab, which looks like a checkered square, by default it is on the right of the Materials tab. 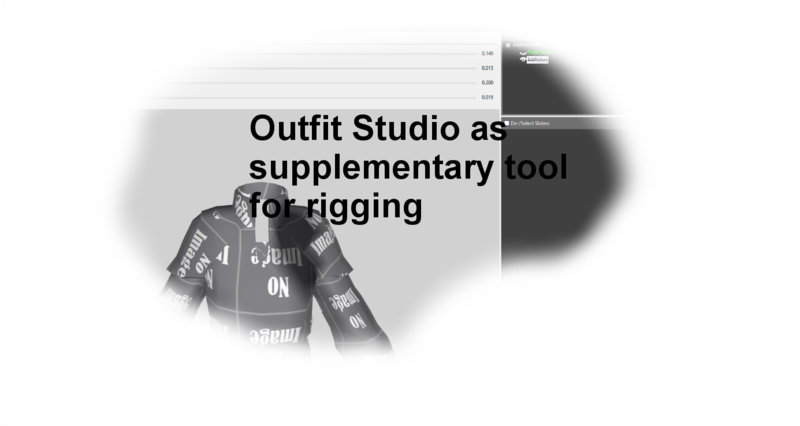 This is where we actually get to apply our textures, you can also apply your normal maps, etc. here was well. 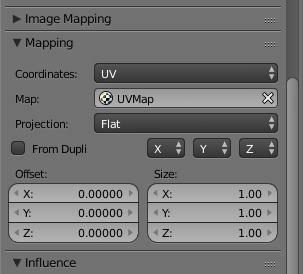 Once your texture is loaded up, scroll down to Mapping section and select Map – UVMap. You should do this for every single texture on every single object or else your export will fail. Another thing worth mentioning is that you need to have all of your textures in a folder that has a folder named ‘textures’ in it’s file structure if you don’t want to get any errors. If you don’t, you will receive some errors, but your .nif will still export. Now we are done! Once you have followed all of the above steps, your model should export without a problem. Select everything you wish to export and go File – Export – .nif. In the side menu you need to make sure that Skyrim is selected. If it isn’t, your model will not export, and all those version numbers you spent typing in were all for nothing. You should get this gorgeous thing up the top. If you don’t, you messed up. See the ‘Errors’ section for some help. You might also get a popup about vertex colors. You do not need to worry about that. Once your original model is all exported, you can start working on your collisions. The method and requirements are exactly the same as above, you pretty much have to prepare another model in Blender. Instead of having each object assigned a different material, this time you want each object to represent a different type of physics (eg. metal, wood, etc.). Once that is all done, select your model and give it a smooth shading, then export it as a different file as opposed to your earlier one (I put a _c after all my filenames for collisions). 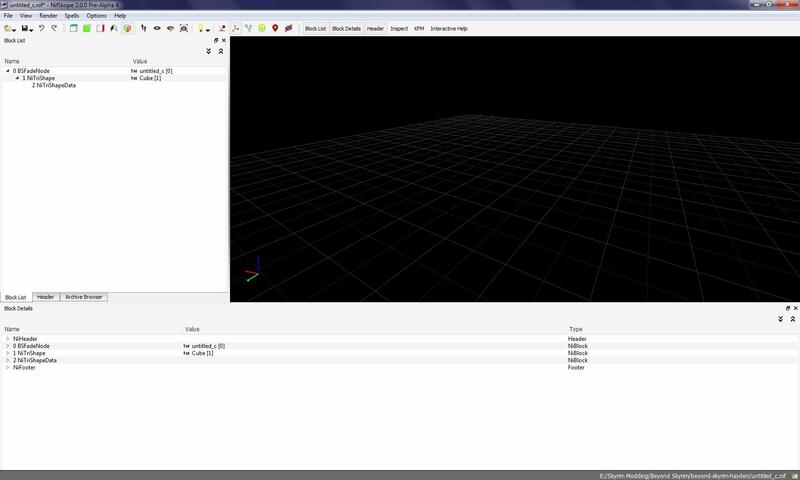 Now we will need to open up our collision .nif we just exported in NifSkope. 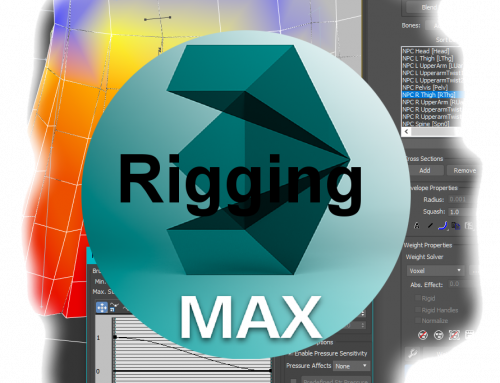 The BSLightingShaderProperty holds all of our vertex paint and texture/material data. The NiTriShapeData holds all of the geometry data. Right click on the BSLightingShaderProperty and delete it, because collisions don’t need pretty colors. P.S. As far as I know you can keep the BSLightingShaderProperty node there and nothing bad will happen. But it’s better to be safe. Now we can save that, close down NifSkope and open up NifUtilSuite! This is the part that takes all of the geometry data from our .nif file and turns it into a collision. This part is pretty straightforward. Your target file is the file your original .nif file you exported first, the one that still has your BSLightingShaderProperty branch in it. 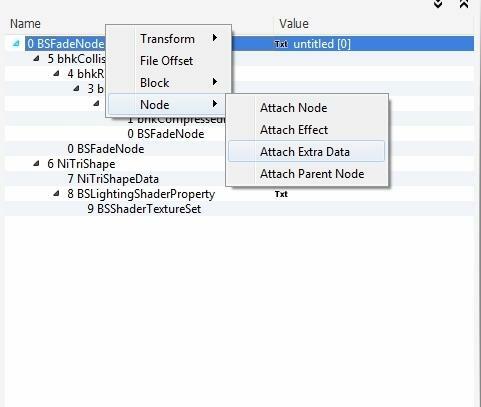 Your collision file is the one you just edited and removed the BSLightingShaderProperty from. Your collision source should be either Collision fallback Mesh or just simply Mesh, because we are using the mesh to determine where the collisions are. 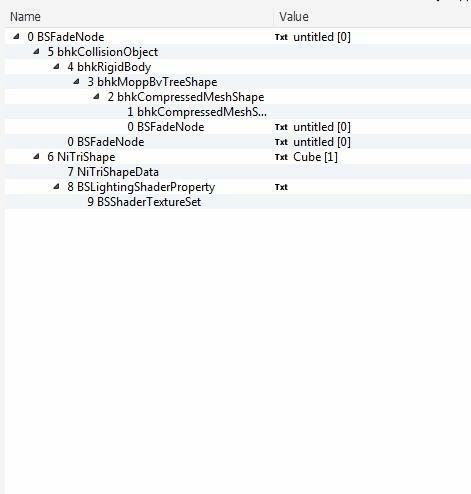 Your collision materials will be different for every object, so you will need to select Name of NiTriShape for your Collision Materials. This way if you have different types of geometry on your model (wood and stone) they can be separated. Your settings should look a bit like this. If so, that’s good. We are nearly done. If it doesn’t, something went wrong. Now we need to add in some extra collision data that wasn’t added in with ChunkMerge. Right click on the top BSFadeNode and select Node – Add Extra Data, then select BSXFlags. Click on your newly created BSXFlags and see what’s inside of it. Double click on the value for Interger Data and change it to 130. This is what most static Skyrim models have theirs set to. I like to clean up my branches by moving the BSXFlags to the top of the nif by right clicking on the BSXFlags and selecting Block – Move Up. Now your collision works! The final thing to do is to determine what kind of material each object is. Open up your nif tree again and find your bhkCompressedMeshShapeData. You may have multiple depending on how many different objects were in your collision file. Select the node and go down to Chunk Materials. Go down the two branches and you will find a line that says material. Open up the selections in the value column and select what you want that part of the mesh to be made out of. Once that is done, you’re all ready to go! It all sounds really complicated but after a little while it becomes a lot faster. All you have to do is open up the Creation Kit and start placing your new models. No doubt you got some errors the first time around. These are the most common one’s I have found and how to solve them. The version numbers and the game you are trying to export your nif to don’t match up. 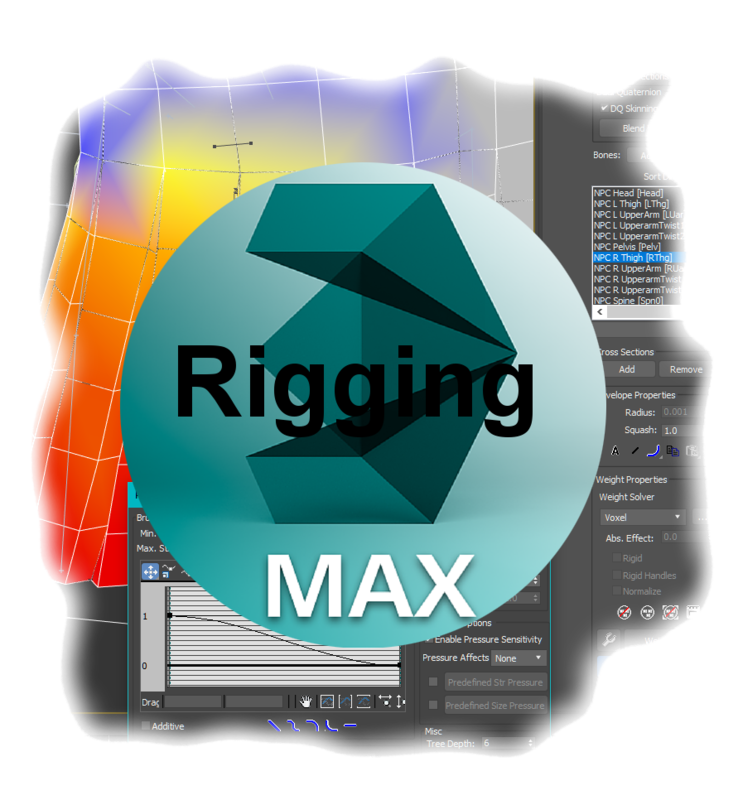 You need to make sure that all of the objects in the scene have all had their version numbers set to the correct export version. Instead of saying ‘Cube’ it will say your object’s name. Makes it a lot easier to narrow down. 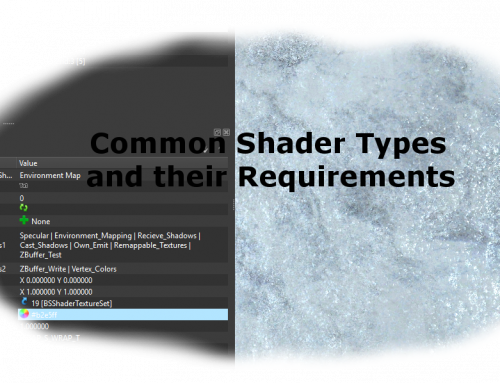 You have not applied a shader to an object. 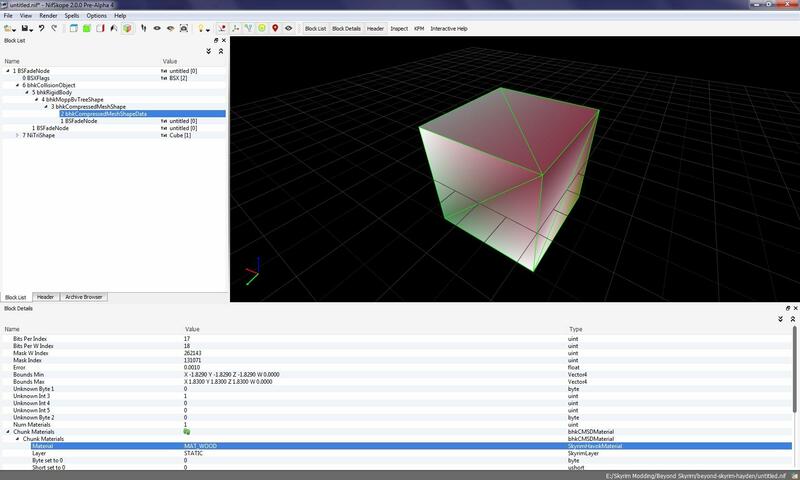 Every object must have a shader selected. In most cases, BSLightingShaderProperty. You have applied a material to an object but that material doesn’t have any textures. io_scene_nif.utility.nif_utils.NifError: ERROR%t|Create a UV map for every texture, and run the script again. You have not UV unwrapped an object but somehow assigned a texture to the UV Map. You have n-gons in one of your objects. The exporter only supports tris and quads. One or more of your textures are not in a ‘textures’ folder. eg. C:\Users\Desktop\mytextures. You should have a texture folder in there somewhere, like C:\Users\Desktop\mytextures\textures or C:\Users\Desktop\textures. 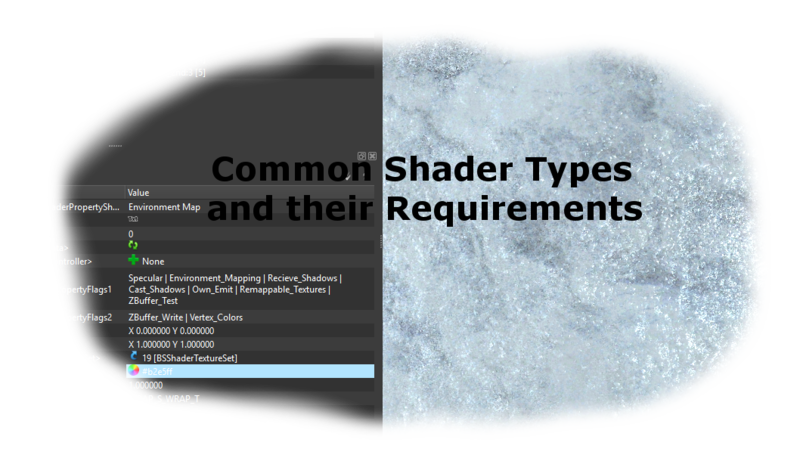 Your model will still export but you will need to fix up your texture paths in the BSShaderTextureSet. This is where I will go into the details of what you can change in Blender that the exporter recognizes. Nif Root Node – Will be the root node of your .nif. Self explanatory. Tangents Flags – related to each corresponding object’s ‘Extra Vectors Flags’ properties. It can have a value of None or Tangents_Bitangents, where None is any value other than 16 and Tangents_Bitangents is 16. If set to None, your model’s normal maps won’t work. UPB – Unknown, I have not experimented. BSXFlags – Unknown. I believe it has no effect. Consistency Flag – Used to select Static/Mutable/Volatile. Not sure what else. Object Flag – Directly related to the ‘Flags’ property in each NiTriShape. Nif LongName – Unknown. I believe it has no effect. Unknown, possibly used to add in BSXFlags and other extra nodes. I don’t believe it works at the moment. All are mostly self explanatory and can be experimented with. Specular – Hardness is related to the Glossiness property. Specular – Intensity is related to the Specular Strength property. 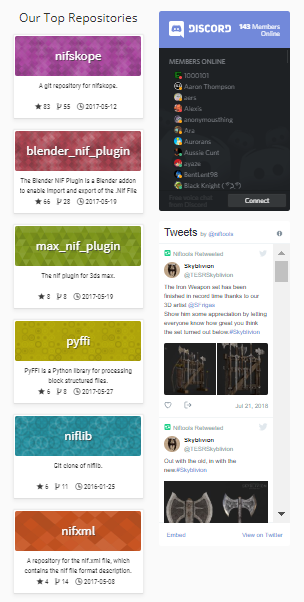 I plan on continually updating this as we figure out more about what is available to us with the Blender Nif plugin. Please feel free to correct me on anything I may have gotten wrong. Any questions feel free to ask. I hope I have covered everything for the time being, and I apologize for the terrible wording, it’s 2am and I can’t be bothered to proofread. I will go over this and fix up any mistakes I have made in the coming weeks. This is an absolutely awesome tutorial! Thanks! I’ve seen other such, but many of them focus on creatures and clothing. What I want to make are static objects, and this is just what I needed. It is great to see, that Skyrim Modding is still very alive and Blender is now one of the tools, you can use to create new stuff. However i could not make an export working. It gives me an error, that is not listed in your tutorial. Any idea how to solve this? I am using the tools you linked and Blender 2.79 instead of 2.78.